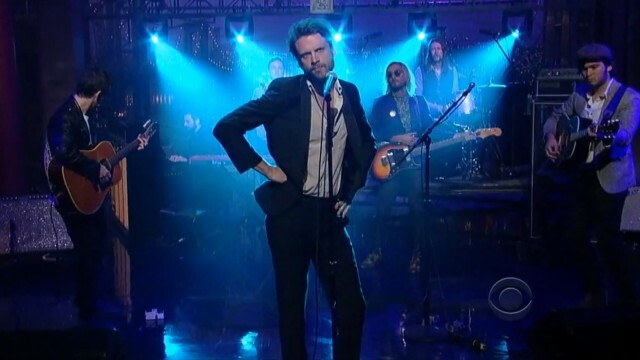 It’s been quite a year for Josh Tillman as Father John Misty. Last summer’s Fear Fun has seen wild success, and Tillman continues to wow audiences with his erratic on-stage antics. Saturday night at the Wonder Ballroom alongside Pure Bathing Culture was no exception. Portland’s own Pure Bathing Culture have me buzzing with anticipation over their first full-length release Moon Tides. Though the band has been active since 2011, it seems like we’ve been waiting forever for a full-length release. The band’s been getting hype from many blogs and has released songs to both Gorilla vs. Bear and Blalock’s Indie Rock Playlist. Saturday night’s mellow set was a mix of fan favorites like “Ivory Coast” and some new material, like “Pendulum.” The band moved effortlessly between songs, and held the audience’s attention throughout—and performed well enough to distract the audience from Father John Misty’s gaudy stage adornment. Father John Misty opened with “Fun Times in Babylon,” a staple of his set list. A huge, colorful backdrop of rainbows, mythical creatures, and what appears to be Tillman riding a horse enveloped the band in their own hyperbole. Many of Tillman’s lyrics directly contradict this idea of fantastic decoration—“Try not to think so much about the truly staggering amount/ of oil/ that it takes to make a record”—proving to the audience that he doesn’t take himself too seriously. This was my fourth time seeing Misty in action, and his performances continue to get more and more ridiculous. I find it charming, but I’m sure some don’t, especially those who do take his music seriously. Hearing the same album performed for the fourth time can get tedious, though, and I think that Tillman’s behavior at least breaks up the monotony a bit. As per usual, Tillman danced chaotically, swinging his hips and waving his microphone stand in the air, enticing laughs and cheers from the audience. He made jokes—“Hey, where do I have to go in this town to find a vegan donut?”—and never missed a beat performing nearly all of Fear Fun. Antics aside, Tillman’s voice is one to be reckoned with. We don’t care what sorts of theatrics he does if he can hit those notes. 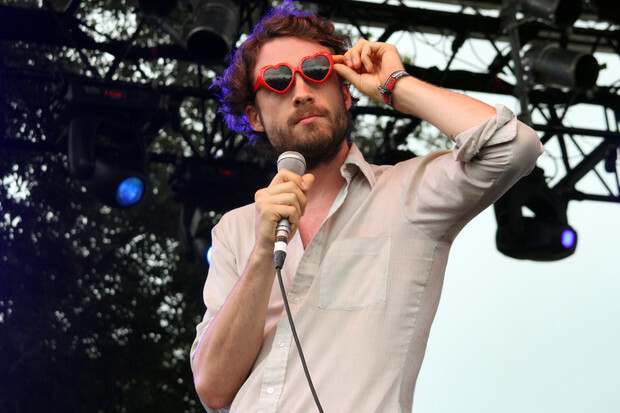 Though Father John Misty could perhaps dissolve into just another project for Tillman, the band has staying power. Two new songs and an obvious following bode well for Fear Fun fans. And if the narrative arch of Tillman’s musical career is any indication, things are only bound to get more exciting. Beyond 94.7’s “December to Remember” there are a plethora of good tunes to take in in PDX this month. So here it is, your somewhat comprehensive, Zibby approved December show guide. Enjoy!